ABOUT - SHENZHEN YOUTHTON TECHNOLOGY CO . , LTD .
Youthton Technology, an ISO 9001:2015 certified company, is a professional, creative and reliable optical transceiver manufacturer. 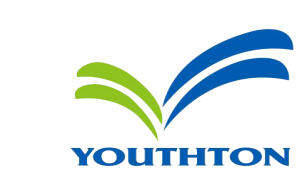 With an entirely unique go-to-market strategy, Youthton supplies a broad portfolio of high-quality and cost effective mainstream products that are compatible with over 50 optical switching and transport platforms, and offers OEM/ODM products which have lower acquisition cost without sacrificing quality or support. Every single transceiver is designed specifically for the most demanding network environment, and is manufactured in the strictest quality control and reliability test system. Researchers and designers in Youthton have over 13 years' experience in optical communication field. While the marketing team has been working in the field for more than 20 years. Innovative, ambitious, striving for excellence every day with youthful diligence, competence and commitment. Making more information be transmitted in a faster and safer way. Making the world a smarter place by providing better optical transceivers for global customers. All of the above competitive advantages enable Youthton to provide agile response to customers and tailor made service in the pre and post sales process.